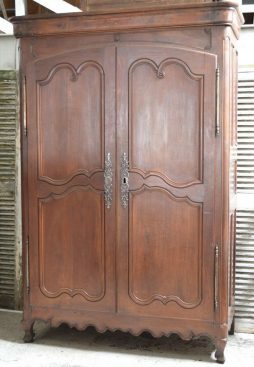 Antique Armoire | Interior Boutiques – Antiques for sale and mid century modern furniture, french furniture, antique lighting, retro furniture and danish furniture. 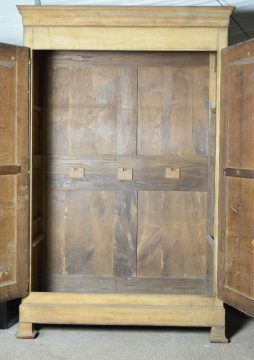 This large antique walnut wardrobe is a real stand out piece of furniture of high quality & is very practicable too. 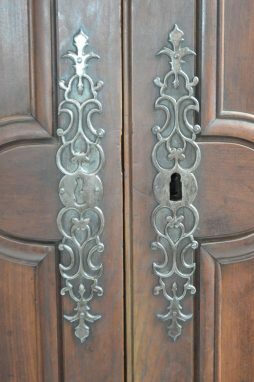 The outside is composed of three burr walnut doors sitting on a shaped carved base with carved shaped legs. 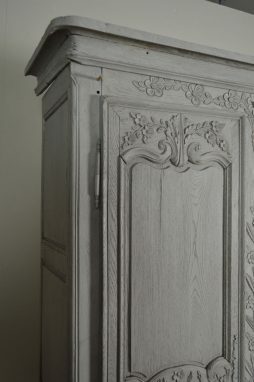 The top cornice is spectacular in its shape & superb carvings. The inside has been very thoughtfully constructed. 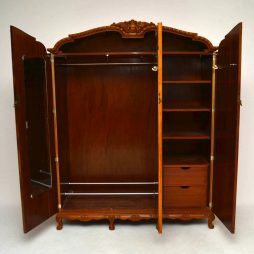 The left hand double compartment has a mirror on the door, a rail for hangers & even a shoe rack at the bottom. 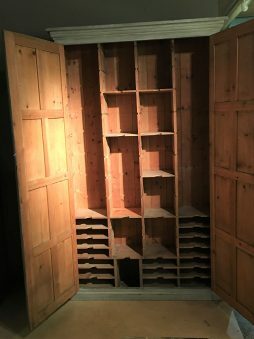 The single right hand compartment has shelves on the top & drawers below. 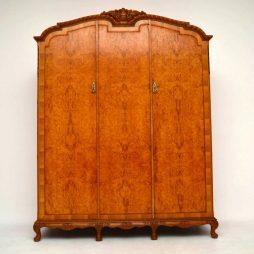 This wardrobe has a nice mellow colour & a good pattern within the burr walnut panels. 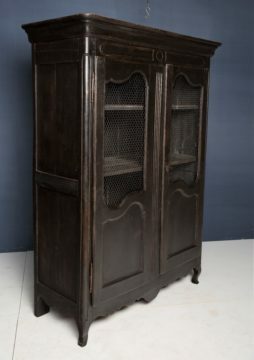 It’s in excellent condition & dates to around the 1910 period. 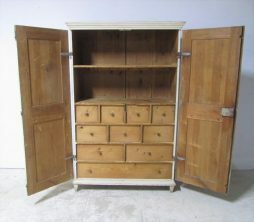 It also comes apart quite easily & there are no screws holding it together. 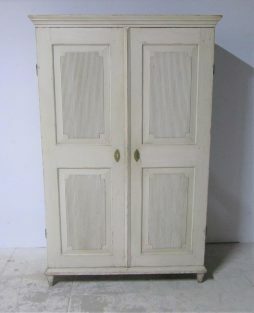 The top cornice just lifts off, the middle separates into two pieces & the base is separate too. Condition Report : Worn & Shabby. 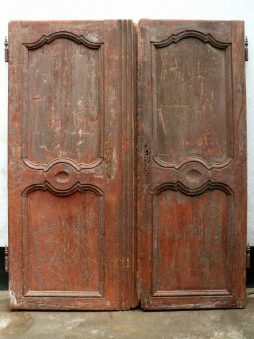 Very Decorative pair of late 18th/ early 19th century pine Armoire Doors from France in the remains of very ancient paint. 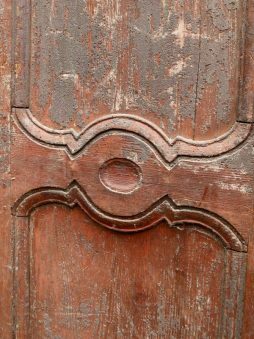 The doors are in their original untouched and slightly 'beaten up' state , showing the faded remains of grey paint over an older rusty red and now displaying a historic and highly decorative patination. 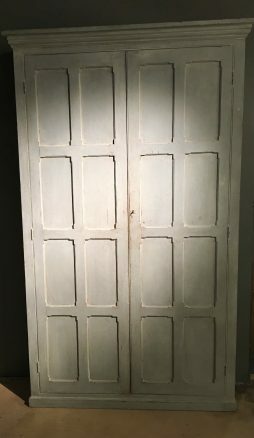 The doors cry out to be used to clad a wall cupboard and where they will create a wonderful faded or shabby look for true lovers of decadence. 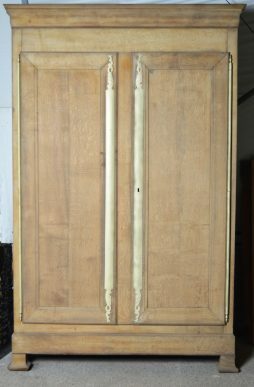 Measuring 57 inches high x 45 overall width, the doors have their original metal doorlock, hinges and shaped escutcheons (front plates). 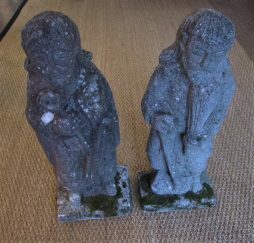 Circa 1780-1820, they were carved in the traditional 'Louis XV' style. 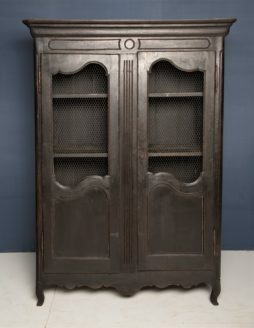 19th Century French carved armoire. 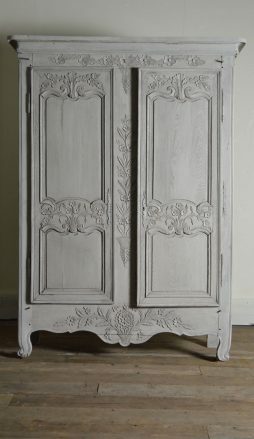 Recently painted beautifully carved with flowers. 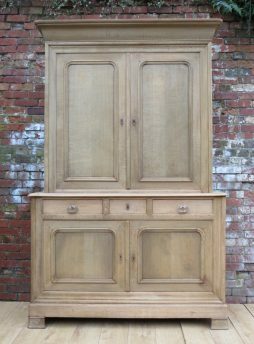 Good possibility for a kitchen piece or linen cupboard with shelves inside. 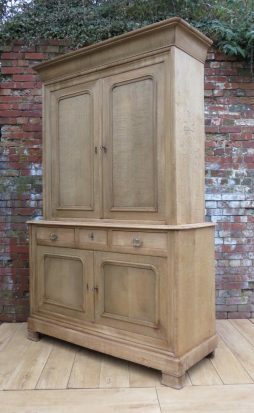 A Swedish late 18th / early 19th Century Armoire / housekeepers cupboard in painted Swedish pine with a fitted pine interior with ribbed panelled doors retaining all its original locks,, key knobs and fittings etc in its original paint with some minor restorations A useful piece of furniture for any room in the house.